I am freelancing since 2004 but I have started my professional career back in 1998 as an employee for a number of IT companies. I am also a Game Developer having published several titles for mobiles and smartphones and an active Blogger. 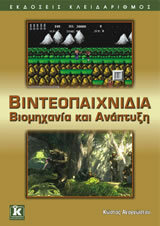 I am a Founding Member of the Hellenic Game Developers Association (HGDA) and currently a Board Member (2013-2015). I support coding communities in Greece and abroad and I speak in several conferences and events, too. Now, I like studying game development concepts like: 3D game engines, console programming, AI, design and graphics. Weekend projects are related to robotics and coding for devices like PS2 and GP2X.